Theme restaurants are popular all across the world. Among them, the Japanese seem to have done the best job of licensing out their cartoons for the creation of restaurants all around Asia. Not to be outdone, the rest of the world has done a steady job of catching up with themes are much more familiar to Westerners. DC Comics Superhero Cafe is part restaurant, part souvenir shop and all fanboy rolled into one. Previously, there were two locations of this cafe in Malaysia, but as of this year(2015), a new shop has opened at Marina Bay Sands, which in itself, is a massive complex that includes a casino, 5 star hotel, a luxury shopping mall and one of the best food courts we have ever been to. These guys have done their research, including this pretty cool comic book menu from which you can select burgers, quesadillas, entrees, and pasta. Aptly named dishes that stick to the theme include such items as Hall of Justice Combo, Chicken Hawk Quesadilla and the Batman’s Dark Knight Charcoal Burger are all at your disposal and ready for immediate nom-nom-nom. For an extensive review, check out one of the best known Singaporean food sites, Lady Iron Chef. Recently opened in July, Her Majesty’s Secret Service is a place that if James Bond were to hang out somewhere, it would be here. At least, that was the original intent of the guys who opened this place. 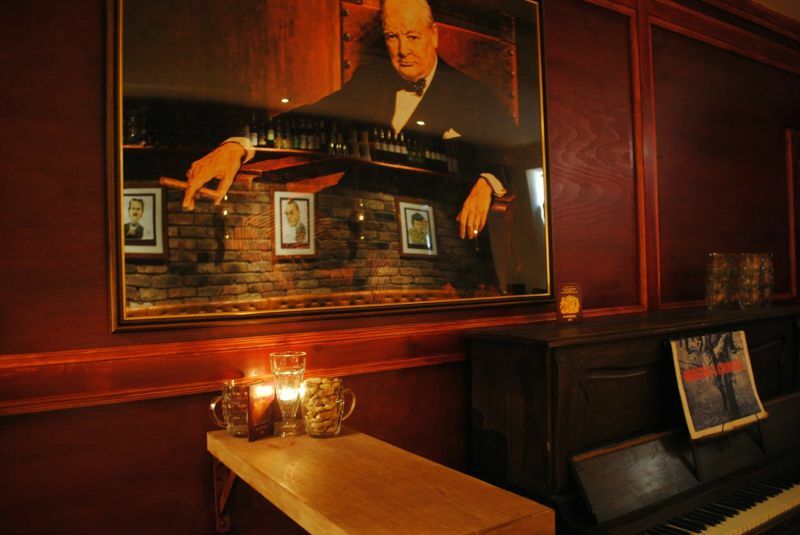 Small touches such as menus disguised as a passport, a world “plotting” map on the wall and British heritage pieces around the bar just add to the authenticity of HMSS. The only bar that is not only decked out in Dr. Who stuff but also regularly shows reruns of Dr. Who. Frankly speaking, if you love Dr. Who, you gotta make your way down here. THIS MUSIC VIDEO ARTICULATES OUR LOVE FOR MALAYSIA AND SINGAPORE SO PERFECTLY.